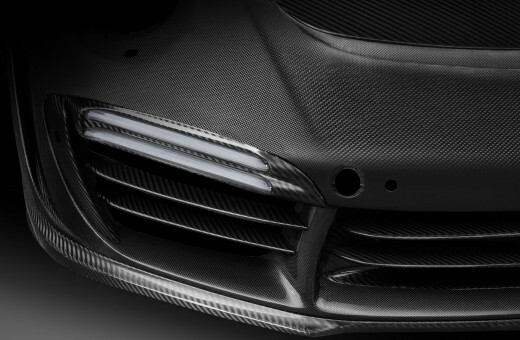 TopCar company manufactures sophisticated carbon fiber components since its foundation in 2004. 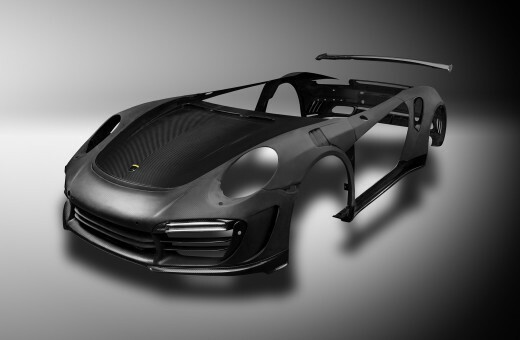 Several years later, the company's specialists have started to make the whole carbon fiber body's for the cars - very-sophisticated aerodynamic body kits with a GTR index. 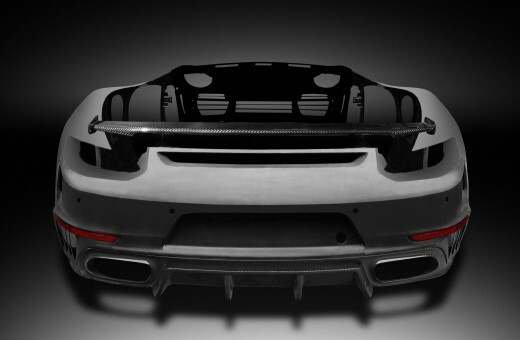 It is a fact that the number of elements of body kit is so large that they constitute a new carbon body. 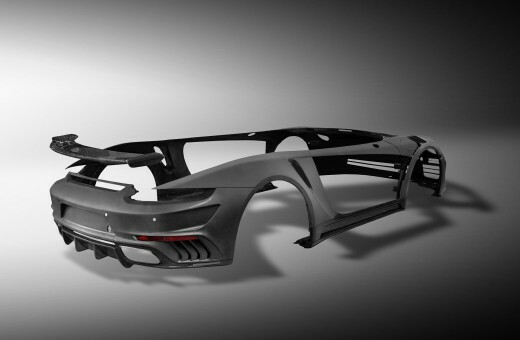 The most typical example - Stinger GTR gen. 2, kit for the Porsche 991 Turbo / Turbo S facelift. Indeed, this is a great list of elements: front and rear bumpers, front and rear fenders, hood, side skirts, wide moldings on the doors and rear spoiler. In addition, there are many small carbon elements - air ducts and grills. Each element is made of carbon in a vacuum oven and constitutes an example of the highest quality. However, all these magnificent composite parts (in the final stage) are painted in the body color of the car. 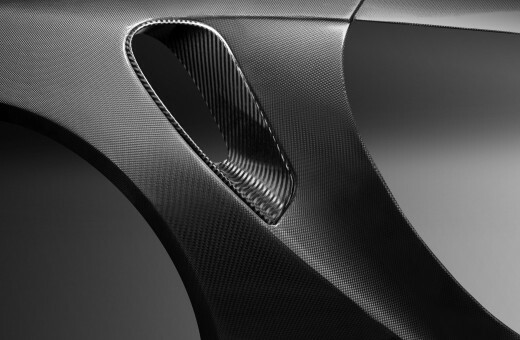 And only a few additional parts are finished in visible carbon with the beautiful carbon structure. An example of such a project - a black Porsche 991 Stinger GTR gen. 2, which has been specially made for a customer from the UK. On the right hand car has been installed complete set, painted in black color, with carbon detailing. 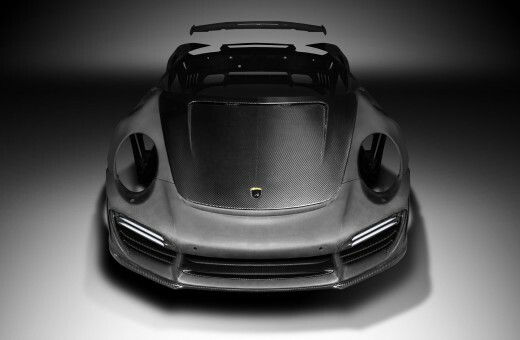 However, TopCar preparing a special project of the International Automobile Salon in Geneva 2017 - is completely "carbon" Porsche 991 Turbo S Cabrio. 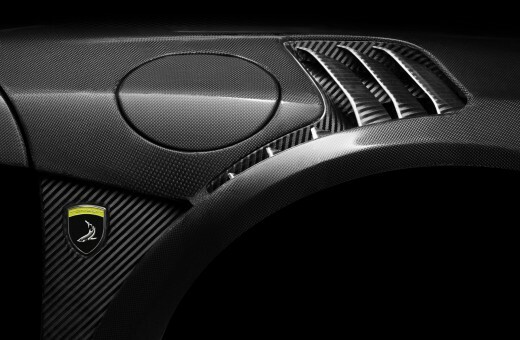 At this time, the car will be decorated by visible carbon fiber: bumpers, fenders, doors and all other elements. This level of technology available only to the world's best manufacturers, among which, of course, also includes the TopCar company.